We were to this cemetery last summer. There is in the corner of a place where the Cherry Grove School or Church Stood. You can still see the remains of the foundation there. Kathy emailed me this one today... I just got it done and will upload it. Kathy is keeping me busy busy busy making these into web pages. God Bless her. I couldn't of gotten these online so fast without her. Have a few more to make into that she has emailed to me in the last couple of days... Thanks a bunches and bunches and bunches... Kathy. Going to make your name into cool text like the rest of ours here when I get a chance. Have a good evening everyone and Happy Happy Gene Hunting. 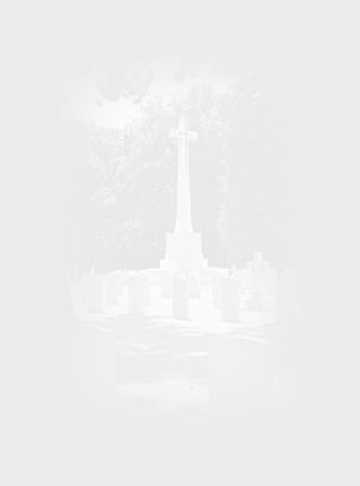 Cherry Grove Cemetery is located in Section 29, Cedar Township, 10 N, Range 1 E, Knox County, Illinois. Cherry Grove Cemetery off of Route 41. There is a sign showing you just before entering Abingdon from Galesburg, IL, on Route 41 you make a right and just follow the road. There also used to be a Cherry Grove Church there once upon a time. It is long gone but you can see where it use to stand. A log building was erected in 1832, just South and West of the present cemetery. This was the site of the first school and church in Knox County. The Rio Baptist also says this as Rev Jacob Gum preached there in 1829. The Latimers, buried here, were very active in establishing the Cherry Grove Seminary, founded by the Cumberland Presbyterian Church. The first Cemetery was on a half acre, but more land has been added. There are indications of other burials, since many bases remain, however the stones have disappeared. Cherry Grove is a beautiful old cemetery and very well kept. They still bury people here at this cemetery. Foxie's view: There are many older tombstones in this cemetery that could use the tender loving care of somebody.... as you will see when I start putting the photos online. As your first drive in. Photo taken a couple of years ago. Delia, His Wife, d. Oct 16, ____ In the 61st yr. Note: McCool & Baldwin all on one stone. BEARD, Daniel F. d. July 30, 1853 age 23 yr 1 mo. HAMPTON, Milton S., son of B. & A.M., d. Dec 1856 age 1 yr.
ROCKHOLD, Children of ?? & ?? SMITH, James M. Sept 11, 1847 - Aug 17, 1875 Pvt. Co, H, 14th Reg. ILL.Vol. W. K., Son, Nov 31, 1842 - Jan 23, 1865 Pvt. Co. K, 9th Reg. Minn. Vol Inf. MILLS, Frances, dau. of J. & N.N., d. Oct 16, 1859 age 20 yr 2 mo. NELSON, W. H. d. July 18, 1883 age 38 yr 1 mo 26 days, Co. C. 59th Reg, ILL. Vol. Memory of Nancy, dau. of Thomas & Mary, d. July 4, 1840 age 21 yr 7 mo. Virginia, dau. of R. W. & A.D., d. 1836 age 2 yr 4 mo. Elitha, Dau., d. Mar 28, 1873 age 6 yr 3 mo. BENNETT, Mary B., Wife of Clark, d. Oct 7, 1866 age 61 yrs. Catherine, His Wife, d. Dec 24, 1899 age 98 yrs. HOWARD, Nathan Co. A, 36 ILL. Inf. FAIT, John d. Feb 27, 1892 age 89 yrs. Nannie, Dau., d. Dec 3, 1880 age 13 yr 3 mo. Willie L., son of L.C. & Larkin, d. Aug 26, 1880 age 8 yr 9 mo. MARKS, Isaac d. Oct 20, 1839 age 40 yr 9 mo. 16 days of Nelson County Inft. BURGER, Simon Co. A, 102nd ILL. Inf. HOWARD, Nathan, Co. A., 36th ILL Inf. d. Feb 5, 1844 Age 30 yrs 1 m 8 days, Erected by the Cherry Grove Church. John R., son of J. H. & N., d. Sept 14, 1852 age 2 mo. MILLER, Prof. I. H., d. Oct 31, 1865 in his 35thyear. Erected by the students of Cherry Grove. MURDOCK, Joseph, son of T.& M., d. Mar 31, 1863 age 22 yr 11m 2 days Co. D., 7th ILL Inf. SMITH, James M .Sept 11, 1847-Aug 17, 1875 A private in Co. H, 14th Reg.IL.Vol. Children of James M. and Mary E., Jennie M., Willie I., Minnie F.
They still bury people in this cemetery. Kate working on the what we call the children's section of cemetery. We dug up a lot of them in order to get better photos more later but will have to make another page.